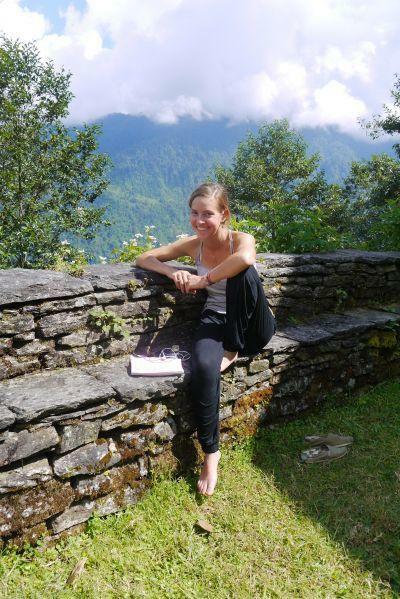 As a conservation volunteer in Ghandruk, Isabelle spends her days between various wildlife survey projects, focusing on data collection for species protection. Between mammal surveys with camera traps, butterfly surveys, and reptile pitfall traps, she is learning a great deal about the inhabitants of the Himalayas. But it is not only the animals she is connecting with. As she plans to enter university this coming fall, Isabelle has been greatly impacted by her time as a Projects Abroad volunteer. She has learned that she already had many of the foundations needed to do successful environmental conservation. She has also delighted in meeting many likeminded, young internationals with passion for ecology, and has created a new network of colleagues and friends.